Peaches are everywhere lately. They are kind of my weakness in the late summer and early fall. I just can’t resist picking up one or ten every time we are in the grocery store. Sometimes my eyes are too big for my stomach and I end up with a few that need to be used as quickly as possible. 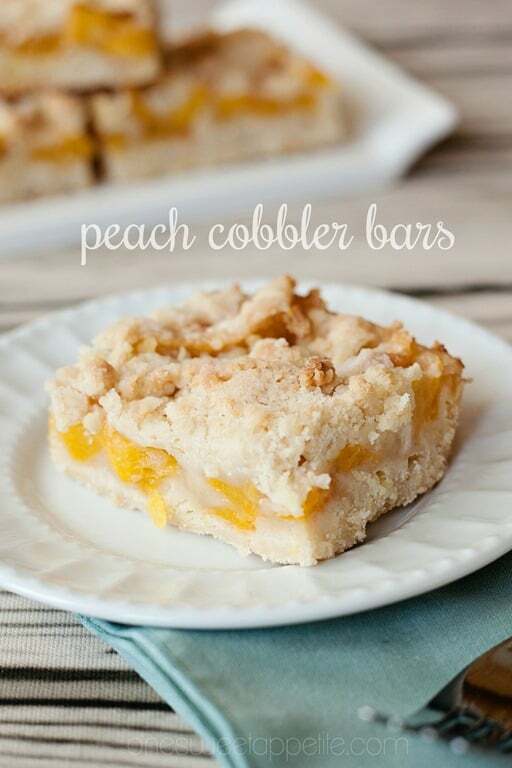 That is where these peach cobbler bars come in handy. My five year old swears that peaches are the worst. He refuses to help eat them unless they are smothered between these two layers of pastry goodness. I love watching his little feet scurry into the kitchen at the first hint of these from the oven. I’ve never known him to be patient, especially when it comes to waiting for food, but he will sit right in front of the oven mirror and watch these slowly brown into bubbly deliciousness. Preheat your oven to 375 degrees and lightly mist an 8x8 inch pan with cooking spray. 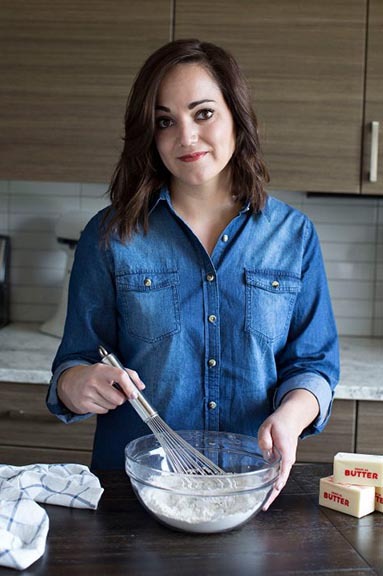 In a medium bowl whisk together 1/2 cup of sugar, baking powder, flour, and salt. Stir in the yolk and lemon zest. Cut in the cold butter until you have pea sized chunks. Spread half of this mixture into your prepared pan. Use the bottom of a glass cup to press firmly down. 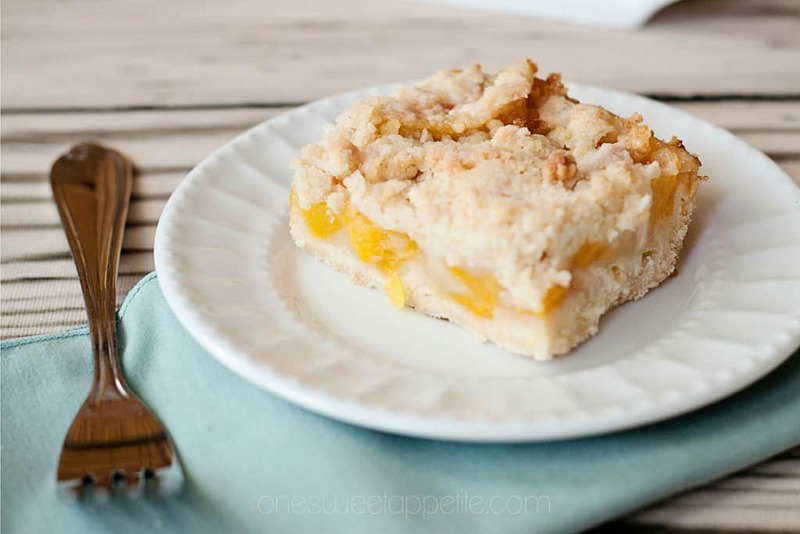 Combine the lemon juice, peaches, 1/4 cup sugar, cornstarch and cinnamon in a small bowl. Let the mixture sit for five minutes then use a slotted spoon to transfer your peaches to the crust. Discard any remaining juice. Crumble the remaining dough mixture over the top and bake for 30 minutes or until golden. Can u use canned peach? If so, do you change any ingridients? I’ve never tried them with canned peaches. I think frozen peaches might work. I would just make sure to thaw and drain them first.